Elias is a RAW superstar who has been part of the main roster for almost two years now. Elias served at NXT for four years before getting the promotion to the main roster. 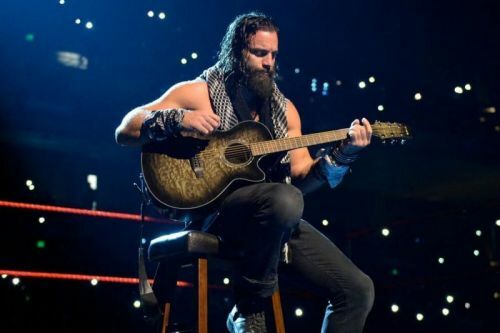 Elias Samson which was later shortened to only Elias is a really talented wrestler with great mic-skills. And that's just about it. I have personally felt that Elias has so much potential that WWE is failing to execute in the ring. Elias's time at NXT got overshadowed because of other already established names of the industry. Elias competed at NXT in the presence of wrestlers like Shinsuke Nakamura, Finn Balor, Samoa Joe, Bobby Roode. But the very fact that Elias was promoted to the main roster very early and as a wrestler who was immediately put to high-card matches speaks volume about Elias's reputation backstage. Triple H has mentioned on various podcasts how he always felt Elias was somebody who belonged to the grand stage and not on NXT. Here is an excerpt from his podcast with CBS Sports, "In the Corner." "The entire time [Elias] was there, I was trying to get him ready for Raw and SmackDown because I knew as a performer his value was there. I said to Dusty [Rhodes], 'He is made for the roster and not for NXT.' The gimmick, the way he is and his demeanor, he is suited for that. He is not a fit for NXT. It doesn't mean he won't be successful there and it doesn't mean he won't have a run there but that run was to get ready for the roster." But looking at today, Elias hasn't been booked as solid as one would have hoped. Elias's guitar gimmick where he trolls the city where he is performing in the form of songs has worked for him. Instead of booing at Elias, the audience has actually decided to "Walk With Elias." In the 10th September episode of RAW saw him share the stage with legend Mike Foley because of his impeccable mic skills. It's just how he is not able to garner the same kind of support for his wrestling. For not being booked in great matches post Survivor Series last year. The very fact that the RAW roster has so many wrestlers without storylines and WWE is not trying to book their talented wrestlers in any, speaks a lot about how WWE is wasting great prospects. And Elias is one of them.